Clutch lightened, reinforced and easily adjustable to an eye of gains and considerable service life. 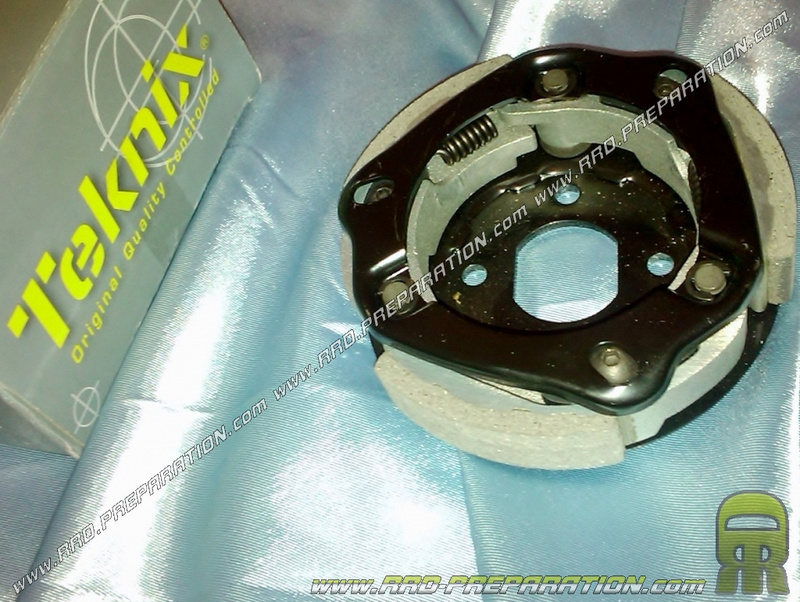 The adjustable TEKNIX 107mm is an excellent clutch for obtaining high performance, grip and faster acceleration! The recovery out of corners or accelerating change considerably. The use of your scooter will become a daily pleasure. And it's easily adjustable thanks to screw that soft springs. No need to change the settings for your refined.